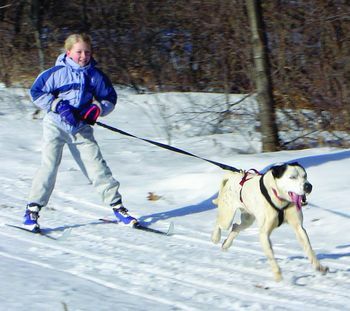 Ideal for pulling in light to medium activities such as skijoring, cani-cross, in-line skating, pulling a sled, bike, or wagon, or for conditioning your dog. Padded through the neck and chest area with soft fleece. Wide 2" (5 cm) chest strap spreads the pulling pressure. Fully adjustable through the neck, back, chest, girth and belly for a great fit. D-rings on either side to attach tracers to pull a light cart or wagon. 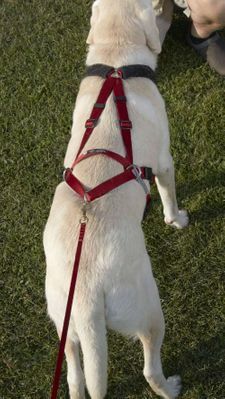 Belly strap restricts the dog from backing out of the harness. Never leave your dog unattended while in the harness. 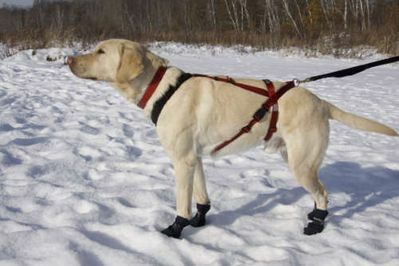 Size Small fits a collar of 8-14 inches and under 30 lb weight; Size Large fits a collar of 12-24 inches and 30 to 75 lb weight; Size Huge fits a collar of 20-34 inches and 75 to 120 lb weight. 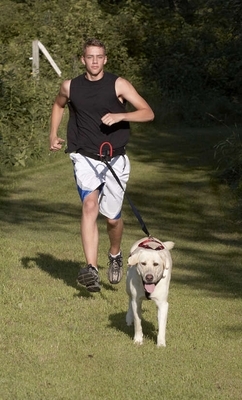 If the dog fits into a collar size in two different sizes, use the weight guide to help pick out the correct size harness. Huge fits a collar size of 20-34 inches and 75 to 120 lb weight. **If the dog fits into a collar size in two different sizes, use the weight guide to help pick out the correct size harness.